Thread: what do you do with your shoelaces? double knot them? tuck them in? velcro shoes? what do you do with your shoelaces so they don't get caught in the chain? Double knot to shorten the bows.... Or ust tuck em in,.. I wear skate shoes and I stuff em in the laces toward the toes of my shoes. works good. I clip in. What are laces? Well, not the 5.10s part, my "serious" MTB shoes have velcro and buckles. But for the bike I ride in shoes with laces. 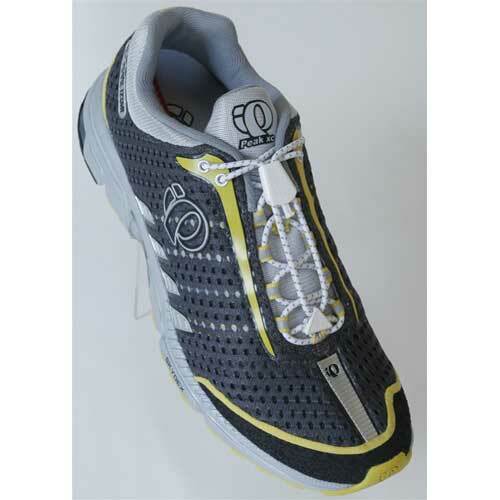 I have a pair of Scott trail shoes that has a Velcro strap that cinches down the laces after you tie them. I always wondered what to do with the laces before I found these! 5.10s have an elastic loop that I can tuck them into. single-knot and tuck them in. i contemplated going with double-knots, but i definitely want them to untie themselves if they get sucked into the cranks or chainrings. Single knot and I tuck them in under the laces that loop back and forth up the shoe (right foot only, bow and ends). I don't ever have any probs with the left foot. Don't actually have a pair of shoes with laces so I have no trouble but i'd probs one knot and tuck them in! Look on youtube on how to do some skate shoe lacing.... keeps the shoe tight with no worries about lacing. Double knot and tuck them under my laced up shoelaces. The ridiculousness of cycling clothes increase exponentially in relation to the distance from your bicycle. 1/2 fast or 1/2 assed? Phunny, as Im reading this thread, theres a Bontrager MTB shoe ad to the right. I'm a ******bag in real life so I dont have to be one on the interwebz. I'd buy shorter laces or trim the ones you have if you're planning to keep the shoes. Once you upgrade to shoes with velcro and rachet bindings you'll be happier. thanks, guys. i haven't had many issues- my laces only got caught a couple times if they became loose when tucked. i'll check out the skate shoe lacing too. Not kidding... I rock the sandals and platforms for everything. If it is cold out, I'll wear shoes, but that's the only reason. - The only thing that keeps me on a bike is happiness. Velcro and ratchet buckles on my MTB shoes. 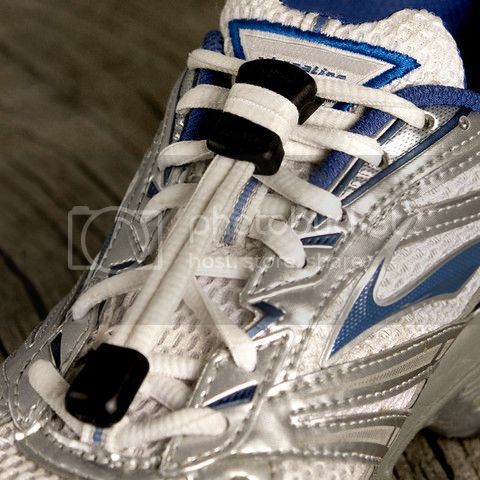 My old shoes had laces and I tucked them into an elastic loop sewn to the tongue. Yes I spent too much on bikes. It looks stupid but I tuck them under my laces. that has a Velcro strap that cinches down the laces after you tie them. ! As a kid, myself and every kid in the 'hood rode BMX bikes. It took one kid's laces getting caught in the chain and making him wreck going up a ramp to show us the importance of tying those laces and tucking them in good. I've yet to get my laces caught. Double knot on the outside of the shoe. Never had a problem so far. Tried tucking in, but it felt inconvenient. my shoelaces have never been caught by the chain yet, but they wrapped around the crank arm TWICE! My clipless shoes are velcro only, my normal shoes have laces short enough that they can't get caught in the chain. As a newbie to mountain bikes but a childhood rider of BMXs, I'd forgotten about the perils of long shoelaces waving around. Thankfully I recalled before it was too late, double knot and tuck! I loop them back into my upper eyelid. Super comfortable and you know for sure that they are not going to come out! I didn't even know shoes had laces.. I clip too! I believe getting a bash guard will also solve the problem. Or do you have to get rid of the outer chain ring to fit in a bash guard? I've never really used the outer chain ring gear when riding trails anyways, so it wouldn't be an issue for me. When I used to ride the cheap dept. store bikes that had the bash guard as well as all three chain rings, I never had a problem with my shoelaces getting caught. Only after upgrading to a nicer bike with the outer ring exposed did I have to worry about shoelace length. I'd probably just upgrade to velcro only mtb shoes in my current situation. I just ordered this nite ize KnotBone, I think it would work really well. reminds me of my 5-year old's laces on some of his shoes. his always become loose though so you'll have to post if they actually keep them tight enough. Those must be some long laces.. Sounds painful. My clipless shoes have straps. When I did have laces, I'd just tuck them in (they were uncomfortable and that's one of the reasons I changed shoes). On both pair of my running shoes I use the Yankz! Sure Lace System. 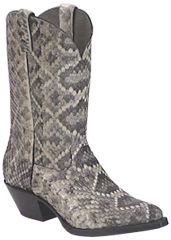 You can pick them up cheap on-line or at local athletic shoe store. They're kind of "elastic" laces. They stay tight and don't loosen up. who would have thought we would have 40 responses to a shoelace question. i started this thread when i first went on the DL with a separated shoulder- i am now ready to go to hit some trails tomorrow. thanks for the info and keeping me sane over the last 6 weeks. my clipless shoes actually DO have laces. it was a compromise because i wanted a specific sole. I just keep knotting until the loops are short. i should probably tuck them. it does make me a little nervous. On mt 510s I just double knot 'em then run the laces down through the laced up part of the shoes. I find it uncomfortable to tuck them into the sides. this is awesome shoe lace website. I never noticed before but I don't own any shoes with laces. I'm surprised no one has mentioned penny loafers. How do you not rip up your laces on pedals? If your laces are long enough to get caught on any part of your bike, the obvious answer is to cut them shorter. I had this problem with my Eastlands(no socks) and tight rolled jeans. Made the switch to penny loafers and have had no trouble, since. I have had to start triple knotting my braided leather belt to keep it out of the chain. BitD, italian lace, single knot and tucked in. Then laces with a velcro'ed cover. Now velcro and ratchet system. I've got Boa on my road shoes and on my next pair of mtb shoes, which will probably be a couple years. They are that good and they'll send you free re-lace kits for life. I'm surprised that flat pedal mtb shoes aren't available with Boa (or ratchet) yet because it seems like an obvious advantage, maybe too xc? Yeah, it looks intense or something. Yeah. I've had my laces hook around a chainring before. I always tuck mine underneath the laces near the toe now but sometimes they still work themselves loose. Only if a lace gets grabbed and pulled into the chainring leaving you on the ground with your foot ensnarled into the crank. Well in that case, no problem. Just really embarrassing for the guy who doesn't know. Sometimes I tuck my laces and look in the mirror to see how it looks. The clipless 5.10s have a Velcro strap to hold the laces down. Not sure why the flats don't when there is more of a chance to snag a lace on something since there pins there in addition to the chainrings. Back in 2012 I used to tuck my laces down the front. I still do.